Did you miss the 2010 National Conference or just need to watch the sessions again? The streaming files are available for viewing. Watch as Alistair Begg, Michael Horton, Steven J. Lawson, John MacArthur, Albert Mohler, Burk Parsons, R.C. Sproul, R.C. Sproul Jr., and Derek Thomas address some of the most difficult questions that we face as Christians. This conference also featured a special mini-conference on Christian communication in a hypersocial world. 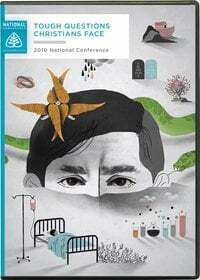 Pre-order the National Conference sets on DVD, CD, or MP3 CD. Why Do Christians Still Sin? — R.C. Sproul Jr.